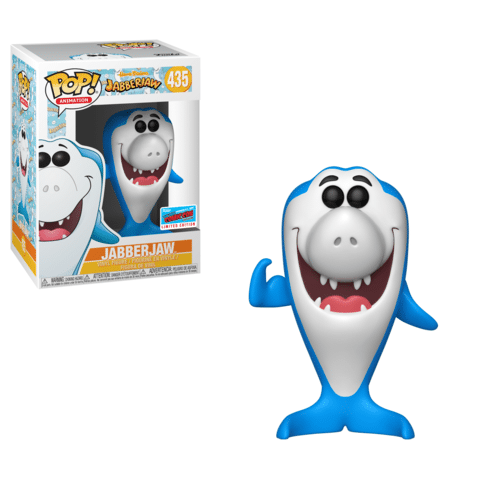 Wave 5 is full of classic cartoon characters in the form of Vynl, Pops, and a LE 1,000 item. 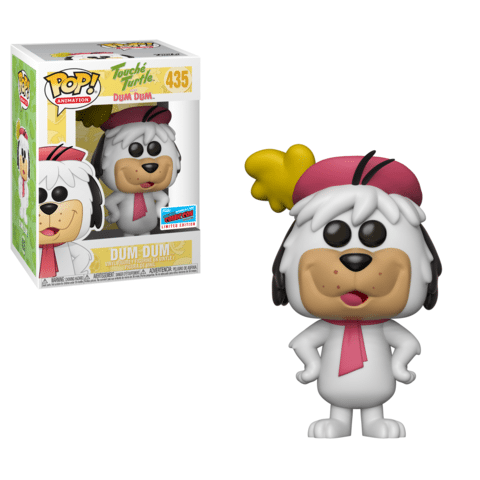 Every year Funko’s Hanna-Barbera offerings are always in high demand and this year won’t be any different. Each of these items will only be available online on the Funko Shop as well as at their booth at NYCC. Be prepared for a fight with the bots. 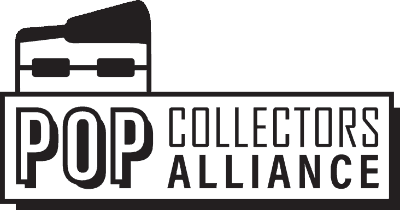 Vynl is one of Funko’s newer lines, and they are picking up steam. 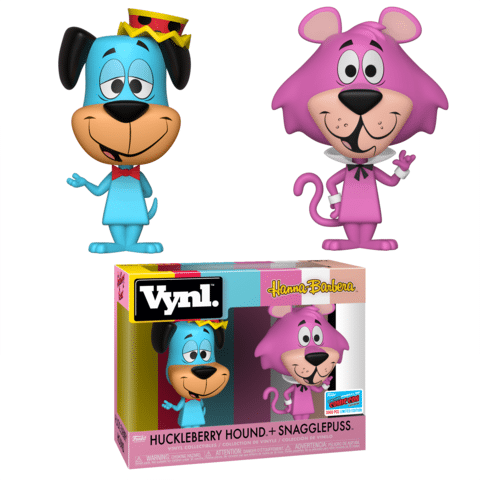 Huckleberry Hound and Snagglepuss are 2 of Hanna-Barbera’s most notable figures. This item will only be on the Funko Shop and at the Funko Booth at NYCC 2018. A giant great white shark that breaths air should be terrifying. What about if that shark knew karate? Not this lovable shark, Jabberjaw is just here to help. This item will only be available on the Funko Shop or the Funko booth at NYCC 2018. This is a dog, with a fancy hat. He also has a pink scarf? Ok, I didn’t ever watch Hanna-Barbera cartoons which I am sure is very obvious. The rest of these descriptions will just be observations. This item will a Funko Shop exclusive as well as available at the Funko booth at NYCC 2018. I honestly thought this was a color swap of Quickdraw Mcgraw. I guess this is a donkey child? 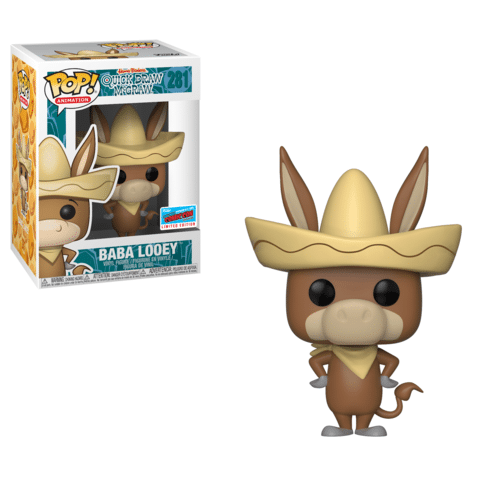 Yea I don’t know, it’s name is Baba Looey and it will be a Funko Shop exclusive that will also be available at the Funko booth at NYCC 2018. Ok, I got this one, I am fairly confident this guy is a ghost based on contextual clues. 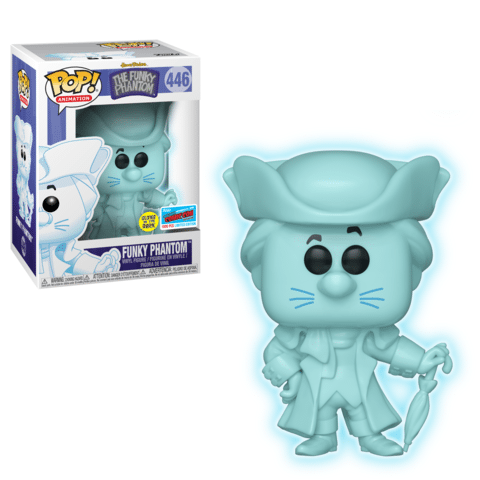 He glows in the dark and will be limited to 1,000 pieces. That translates to “if you are able to get one, then get it”. This item will only be available at the Funko booth at NYCC 2018.